This is from the front page of the Seattle Post-Intelligencer’s sports section, 21 April 1998. I saw the resemblance immediately and hung on to the paper. Now I finally have a venue for sharing my observation with the world. Do click on it and rate it, if you have a moment. John Michael Boyer, Protopsaltis of the Greek Orthodox Metropolis of San Francisco. Mr. Boyer is also Protopsaltis and Director of Liturgy for Annunciation Greek Orthodox Church in Sacramento, CA, principal singer and arranger for Cappella Romana, and Director of the St. John Koukouzelis Institute for Liturgical Arts. Mr. Boyer previously gave a weekend workshop on Byzantine chant at All Saints Orthodox Church in January of this year. Alexander Khalil, PhD, psaltis at St. Spyridon Greek Orthodox Church in San Diego, CA, and postdoctoral fellow at the University of California, Riverside. Dr. Khalil’s recent dissertation explores the aural aspects of the chant tradition of the last remaining chanters of the church of the Ecumenical Patriarchate of Constantinople in Istanbul, Turkey. He has contributed as a cantor to recent efforts of both Cappella Romana and the Mount Lebanon Choir, and has taught at workshops for the Koukouzelis Institute. Kurt Sander, DM, Associate Professor and Department Chair at Northern Kentucky University. Dr. Sander is a composer of many liturgical works in the traditional Slavic style, and his research interests include the history and aesthetics of Orthodox liturgical music, the cross disciplinary relationships between theology and Orthodox iconography with music composition, and the work of Estonian composer Arvo Pärt. Richard Toensing, DM, Professor Emeritus at University of Colorado at Boulder. 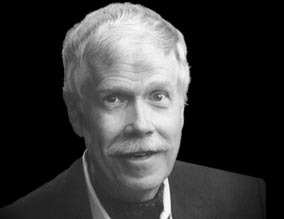 As a composer, Dr. Toensing has received many distinguished honors for his work, having been a Guggenheim Fellow and a recipient of a commission from the National Endowment for the Arts. Dr. Toensing’s composition Kontakion for the Nativity of Christ, as well as his cycle of Orthodox Christmas carols, were recently recorded and performed by Cappella Romana. More details will be announced as they solidify, but mark your calendars! For more information, or if you wish to help support the project, please contact me by e-mail at rrbarret (AT) indiana.edu. 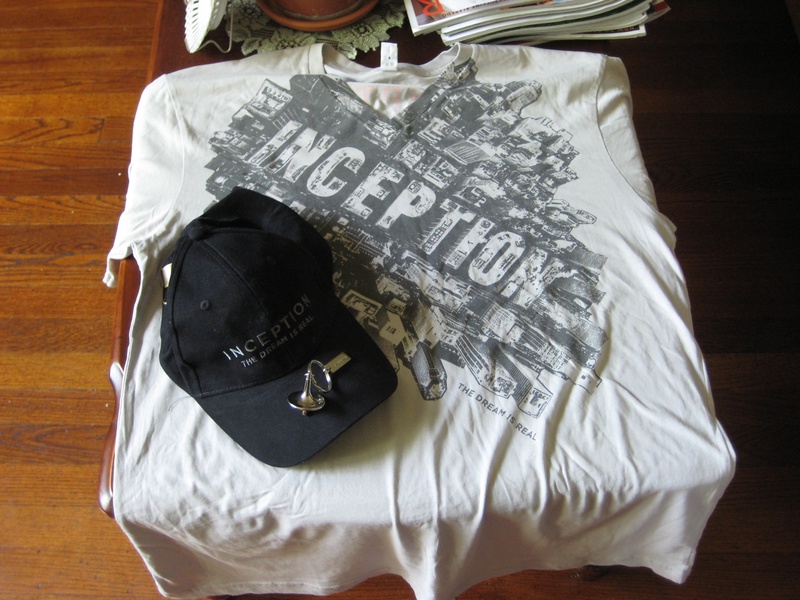 The website NolanFans held a giveaway for Inception promo items, and I managed to be awarded “the Point Man Bundle,” consisting of a t-shirt, a cap, and a top keychain. Yes, I’m 33 years old, and I’m a geek. Then I started reading through some of the scores of choral music posted on Kurt’s website. I didn’t exactly have a wide range of Orthodox musical experience with which to compare it, but it seemed like really nice, sensitively-set, singable music and the kind of thing that would be worth looking at more if I ever were conducting my own choir. Being who I am, I sent him an unsolicited e-mail asking where I might be able to find a copy of his dissertation and when his song cycle might be done. I think I probably pestered him for about a year before he finally sent me a copy of his dissertation, and he also said that he would let me know when the song cycle was finished. I would have just bought a copy from ProQuest, except they didn’t (and still don’t) appear to have access to it to distribute. In June of 2005, four months after my chrismation, the St. Vlad’s touring ensemble was coming through the Midwest. At the time, I was seriously considering trying to enroll at SVS for fall of 2006 for sacred music, and it seemed like a good idea to catch one of their stops. The closest they were coming to Bloomington was Cincinnati, however, and I found this out on the day of the concert. Well, turned out Cincinnati was a lot closer to Bloomington than I had realized, all of two and a half hours, and so I, Megan, the previously-mentioned Jonathan Wey, and our friend Paul Bauer all hopped in the car at the last minute and headed off to Christ the Savior Orthodox Church in Cincinnati. While there, somebody walked in who looked really familiar, and I realized — hey! 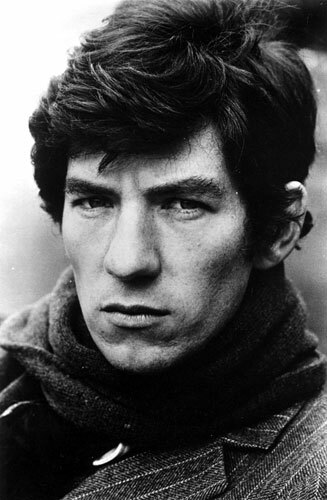 That’s Kurt Sander! After the evening’s proceedings were over, I went up and introduced myself. “Hi,” I said. “I’m Richard Barrett, the guy who was bugging you for a copy of your dissertation.” He looked blank for a moment, and then laughed. “Oh, yeah, I know who you are,” he said. “Nice to meet you.” We chatted a little bit, but before long we needed to get back on the road, so that was that. A little over a year later, I was at the PSALM national conference in Chicago, and part of the program was a concert sung by the St. Romanos Cappella, including the music of Fr. Ivan Moody, Fr. Sergei Glagolev, Mark Bailey, and — what do you know — Kurt Sander. Hearing his settings actually sung by a choir and not just in the limitations of my own head, I started to get a sense of just what he had actually accomplished — they easily stood with the best of what was presented. He was actually there for the performance and the conference, and I made a point of saying hello. That was the summer that Fr. Athanasius got his knees replaced so he could go start another mission retired from All Saints, and while I was planning the music for the dinner in his honor, I decided that doing Kurt’s settings of “O Gladsome Light” and the Prayer of St. Symeon would be nice to do with a quartet. This meant leaving some divisi out, unfortunately, but I had learned enough to know by this point that more than 4 parts was quite beyond where my full choir was for the moment. They turned out really beautifully even with the missing parts, and while things being what they were there was no way I would ever be able to use them liturgically at All Saints without big things changing, I made a mental note that this really was The Good Stuff. Even if it wasn’t “what everybody knows” (a very peculiar category of music I’m always hearing about, but which always seems to refer to different music depending on who’s talking), it probably should be, and this is where I was coming from in my brief mention of Kurt in the review of Cappella Romana’s Richard Toensing disc a couple of years ago. On Sunday after Divine Liturgy, I hopped in the car and headed off to Northern Kentucky University, with no real idea what to expect beyond making music. 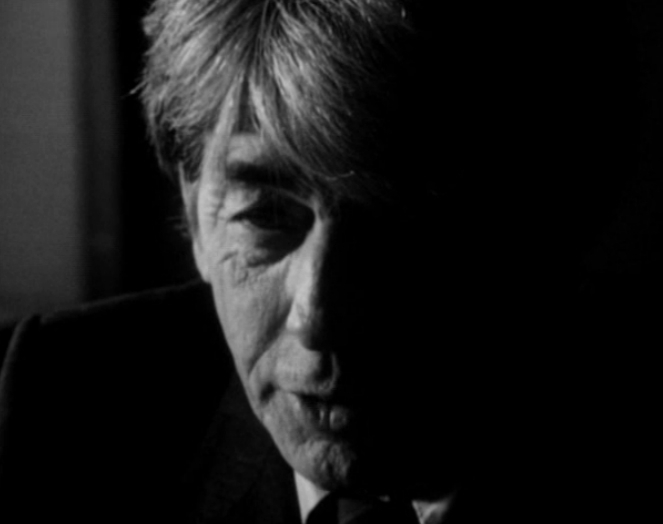 Except for Kurt, I didn’t know if I was going to know anybody there — I had an idea of a few people who might be there, but I was going into unfamiliar territory, one way or the other. As I walked into the NKU dorm to check in, the fire alarm went off. This involved standing out in the hot sun for 20 minutes while firefighters determined that somebody had burned popcorn. There were others standing outside who were chatting as though they knew each other and looked like they could plausibly be there to record Russian Orthodox choral music, but it was sort of the wrong context to try to insert myself. Dinner, on the other hand, where there was air conditioning, food, and wine, was a much better context, and while as it worked out I really didn’t know anybody else there besides Kurt, by the end of the meal I had met several people. Gregg Staples from St. Andrew’s Cathedral (MP) in Philadelphia, Nicholas Androsoff from St. Nicholas Cathedral (ROCOR) in Montreal, Zhenya Temidis and Maria Greendyk from Holy Virgin Protection Church (ROCOR) in New York — and this was just for starters. There was also a non-Orthodox contingent, made up of NKU students and singers from the Cincinnati scene — Anna Egan, Will Huffer, Tim Oliver, and Tim Bruno were people I met from amongst this group. A pattern perhaps emerges from the above paragraph, and it was clear pretty fast that amongst the Orthodox contingent, I was the only Antiochian (in the sense of AOCNA being my “home jurisdiction” — there was a Bulgarian woman there, Sasha Rascia, whose husband directs the choir at an AOCNA parish in Chicago), I was one of two New Calendar people (the other was a guy from an OCA parish in Cleveland), and everybody else was MP or ROCOR — I’m also pretty sure I was the only person whose principal exposure with the liturgical texts has been in English rather than Slavonic. And you know what? I had a ball. The four days I spent singing, eating, and drinking with the crazy Old Calendar Russians were absolutely great, even if I couldn’t sing along with the 100 Greatest Russian Drinking Songs. We got everything recorded in the 24 hours of recording time we had, which was a major accomplishment — we had received an e-mail from the conductor a week or so beforehand that told us cuts were likely, it was extremely ambitious to think we could get through all twenty selections in so little time, and if we didn’t already know our music by the time we arrived we were going to be sunk. Nevertheless, despite some pieces taking some more time than others, we still got through everything with a half hour left on the schedule. It remains to be seen if everything winds up on the finished product, but I felt like we were in pretty good shape at the end of the last session. The conductor was Dr. Peter Jermihov, the conductor of the aforementioned St. Romanos Cappella, to whom I had been introduced once in passing at PSALM. He has a personal history with Kurt and his wife Larissa, but Kurt also made it clear from the get-go that musically, there was nobody else to whom he would want to entrust the direction of this project, and I can see why. Dr. Jermihov brought a lifetime of experience with the Russian choral idiom to the table, and was a fantastic, expressive conductor. He had some crazy ways of getting things across, but they worked. The tenor section was a real joy to sing with; behind me was Gregg, the choir director from Philadelphia, a big man with a big beautiful voice. We got to know each other a bit; he had a goal to visit all fifty states by the age of fifty, and since Cincinnati is so close to the Indiana border I drove him to St. Leon, just a few miles across the state line. There wasn’t much to see there (particularly at 10:30 at night), and the picture didn’t exactly turn out so that the sign that said “Hoosier Liquor” was readable, but it was one more state for him and good company regardless. To my right was Nicky Kotar from the ROCOR cathedral in San Francisco (who is also the nephew of the priest at St. Nicholas Cathedral in Seattle, the very first Orthodox church in which I ever set foot). Nicholas Androsoff, the Montreal choir director, also sang in the tenor section, as did Scott Wyatt, a member of the NKU voice faculty who had a rather illustrious career on the operatic stage before becoming a voice teacher and a pastor. A lot of different kinds of voices, but I think we were able to sing together well. I’ll also note that the bass section, between one Vadim Gan (apparently the protodeacon at the ROCOR cathedral in Chicago, and who sang the petitions in the Great Litany for the recording), Will, my suitemate Joseph Milos of Chicago, Kurt himself, and others, was a singularity. How is it that you can have a section where the second basses are droning away on a highly present low B flat, and yet it’s still possible for them to go flat in the course of a run-through? How in the world can there be room for it to sag any lower? And yet these guys had enough under there for that to be possible. Any chance I could convince any of them to move to Bloomington and switch to Byzantine chant? Probably not. Oh well. Larissa, Kurt’s wife, was amazing, I have to say. She was functioning as the “project manager,” as often happens — Flesh of My Flesh has often been in the same role for my crazy schemes — as well as singing in the soprano section. The amount of work she put in during those four days was incredible, and I daresay her dedication to the project matched her husband’s. She was kind enough to give me Advil and supply me with Orthodox thank you cards (one of which went right back to her). I found out over the course of the stay that she is a music educator who works with young children, which perked my interest. I chatted with her briefly about the choir school idea; she seemed to get it, and even expressed some interest in helping me develop the idea further. We’ll see if it goes anywhere, but regardless, the recording effort would have been over before it ever begun without Larissa. I had a couple of good conversations with Kurt while I was out there. He still hopes to finish the tenor song cycle, and he also talked about how he went with ROCOR when he converted because he felt it was necessary to receive the Tradition in an Orthodox cultural context, rather than as an abstraction over which any sheen could be laid. He said he struggled with that for a few years, but he’s become very much at home in a Russian cultural setting — “I feel like they’re my people,” he said. (I suppose it helps that his wife’s family is Russian.) We also discussed his music and the development of the recording project a bit — in terms of assembling singers, he said that it was very important to him to have good voices, yes, but also to have singers who knew life at the kliros and who understood what this music meant. He filled it out from there with ringers as needed, but that was where he felt it was necessary to start. What’s interesting, and I told him this, is that while his music is obviously within a Slavic idiom, there are touches here and there where it’s going to be hard to know exactly what to do with it as a singer if you haven’t sung, say, Palestrina. “Yeah,” he said, “that’s my love of counterpoint coming out.” In this sense, I suppose this is where one can point to his music as a melding of styles. On the one hand, I’d be really curious to know what an Anglican choir might make of it, on the other hand, I fear that their approach would make it a bit sterile. Ideally, I guess you’d have singers doing it who can go back and forth between the Russian idiom and Renaissance polyphony. I think the mix of people we had made it work, but I also think that what he’s written presents some unique challenges. I must say that I would love to be able to present Kurt’s music in a liturgical context — but I’d also love to have a choir, a church building, and the kind of liturgical practice where it would be possible for it to fit in liturgically. All in good time, I guess. Which brings me to the following observation: there was nothing joyless, humorless, or austere about these people. It was pretty clear from watching them interact over food, drink, and song that the stereotype of Russian Orthodox as this cold, frowning, silent people is just not the whole story. The cultural context that Kurt was talking about isn’t sackcloth, ashes, brown rice, and harsh winters. For the after party Wednesday night, we went to an Austrian-themed brewhouse in Cincinnati that had an accordion band playing with drums and amplification — and between beers, vodka shots (courtesy Kurt’s father-in-law), laughter and drinking songs, the Russian Orthodox table drowned out the house band with ease. I’m not saying I know what they’d be like during Lent, but I think I definitely got a taste of what they’re like for Pascha. My summer has been bookended by musical experiences, one with Greeks and one with Russians. I think for those of us who might specialize to some extent in a particular idiom but who are able to switch to another if need be, it’s a worthy thing to be able to lend support, build bridges and be a good colleague to all sides, at least as far as is possible. Being a specialist is fine; I’m not sure about being a partisan. All in all, this recording project was a wonderful experience and a real blessing. I expect that it will take 1-2 years or so for the CD to actually come out, but I’m really looking forward to hearing it (although, as I told Kurt, ethically I can’t really write a review of it!). Details will be available here, of course, as soon as I have them. I hope for future collaborations with all of these people, whatever they might be. Larissa said as I was leaving on Wednesday that the way things such as this are really built on is through the connections that are made — we’ll just have to see what that winds up looking like. Thank you Kurt, Larissa, Maestro Jermihov, Maestro Lapaev, Jonathan (“JONATHAN!”) the recording engineer, and absolutely everybody else there who helped make this so memorable.